Simple but addictive bubble game! It's bubble blast time. 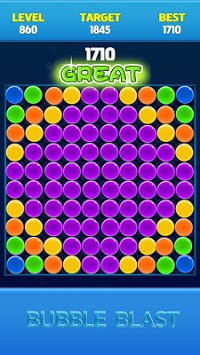 Pop and crush bubbles at your pace, enjoy this classic puzzle game with endless fun! - Tap two or more adjacent bubbles with same color to crush them. 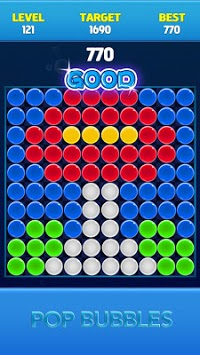 - The more bubble crush at once time, the higher score you will get. - Reach target score to go next stage. - Can you collect 3 star? - Extremely easy to play bubble breaker. - It's all free and no wifi need. - Ultimate matching puzzle game. - Super fun bubble game! 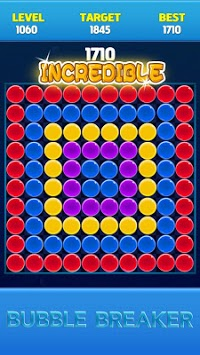 - Bubble popping game for all age. Welcome to the funniest bubble pop world! It is bubble blast time!